Yesterday was the first swim meet of the summer season so it was no surprise that I was sketching swimmers waiting for their race this morning. Have you seen my Swimming Laps fabric print? 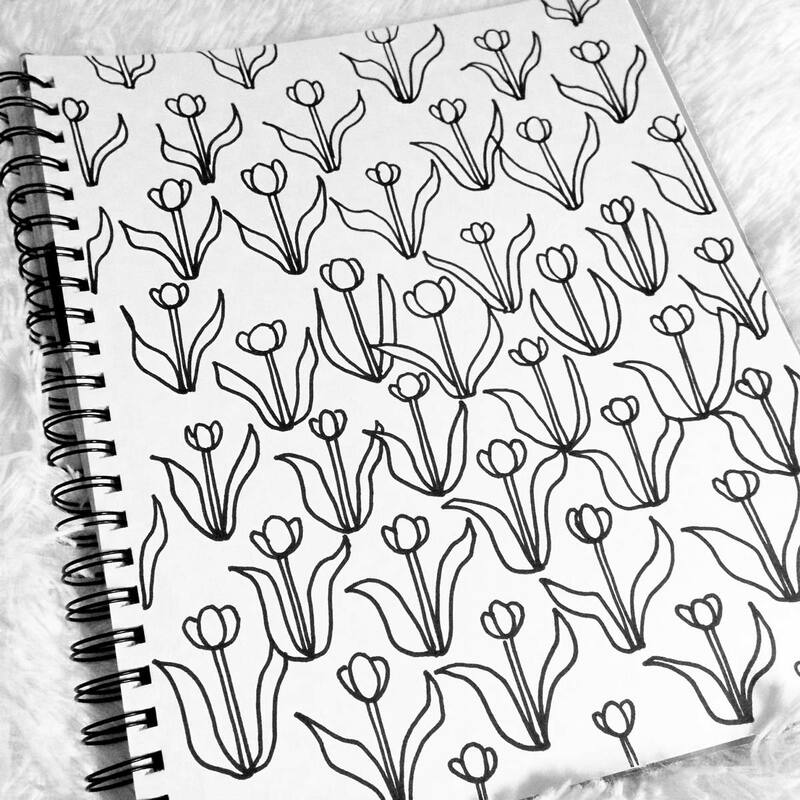 Categories: Inspiration, Sketch | Tags: pool, Sketch, sketchbook, summer, swim, Swim art, swim meet, Swimmers | Permalink. In my first adult drawing class about 9 years ago, Eva, the instructor, had us bring in a pair of shoes to draw. I brought in my youngest’s baby shoes. I followed that up with a drawing of my daughter’s ballet shoes, and then one of my other son’s cleats. I still occasionally sketch my shoes. The angles, the foreshortening, the perspective – they are such a great subject to practice on! Categories: Sketch | Tags: Drawing, drawing practice, drawing shoes, Pencil, practicing drawing, shoes, Sketch, sketchbook | Permalink. I really enjoy sketching in front of the tv. I wish I did it more. It turns non-productive time into productive time. Give it a try! Categories: Inspiration, Sketch | Tags: portrait, practicing portraits, real housewives of beverly hills, RHOBH, Sketch, sketchbook, tv sketching | Permalink. I used to start creating something, not even finish, and jump to “Can I sell this?” I think I was in this mindset because at the time my creative outlet was my custom invitation/announcement business. This type of thinking was stifling my creativity, and was getting annoying. It prevented me from following through on ideas. I had given myself permission to create whatever I felt like, and to worry about selling later, even if it was just for 3 months. Once I started working at it, projects led to other project ideas. Trying one technique led to the desire to learn and try other techniques. I fell in love with creating. The voice asking, “can I sell this?” got quieter and quieter. Robert McArthur had put into words that “thing” that had previously ruined my creativity. I was having so much fun creating I didn’t want to ruin it. And spending my time filling orders didn’t sound fun either. 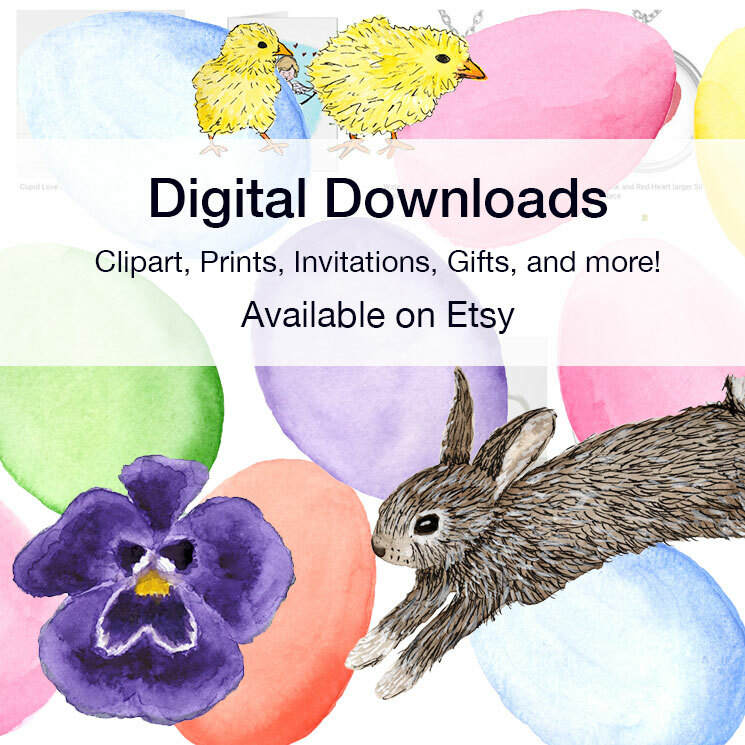 Categories: Uncategorized | Tags: Art, art projects, creativity, creativity and selling, Drawing, illustration, painting, selling art, Sketch, watercolor | Permalink. Sounds awfully dramatic when put this way – “Realizing a Vision.” But, having the ability to translate what I imagine in my head, onto paper, is still a big deal for me. Often things don’t turn out exactly how I envisioned them – but not always for the worse. Once I start drawing and designing things often take on a mind of their own. With this project, it came out exactly how I envisioned it. It really made me pause. A few years ago I would not have been able to do this. I wouldn’t have been able to create what was in my head. There were a variety of reasons for this – lack of confidence, not persisting enough, and not having practiced enough to achieve what was in my mind – I guess you can call that lack of skill. 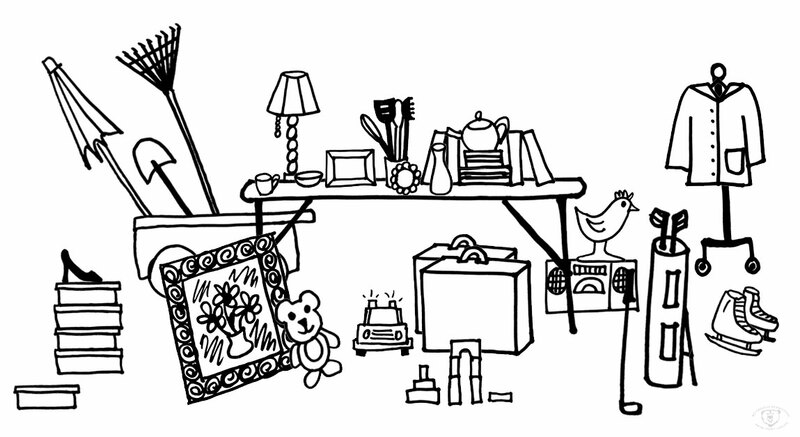 It’s kind of funny that I’m making such a big deal about an illustration for a garage sale flyer. But, I think it’s important to recognize milestones. A friend asked my to design a garage sale flyer for the school. I’m a graphic designer so it wasn’t surprising that she asked, nor was it a big deal for me to bang out a flyer. But, in my mind I immediately saw it as an illustration project. 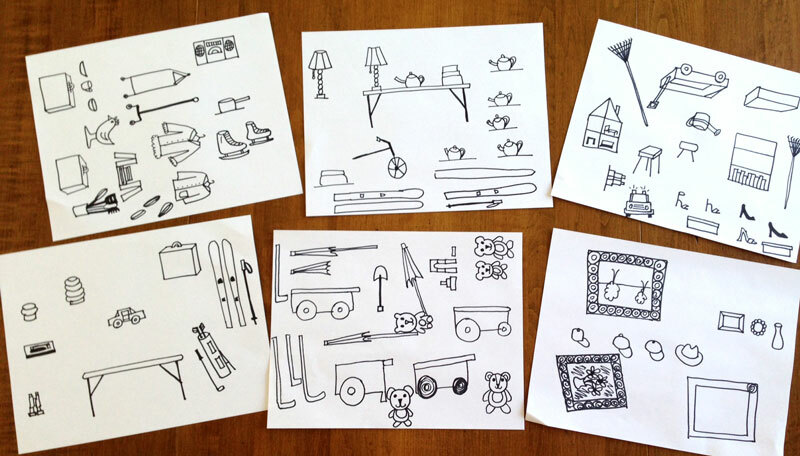 Since I’m currently sketching “everyday objects” every morning – I began to think of all the things one would sell at a garage sale. I pulled out paper and began drawing. I focused on the individual elements – not on how they would be arranged. I drew the way I do in my sketchbook in the morning – objects going this way and that, repeating an element a few times to get a better version. Then I scanned every page and arranged the objects in Photoshop. I designed the flyer (not shown) in Illustrator. Kind of makes you want to pull out your junk and have a sale, right? Categories: Illustration | Tags: Drawing, everyday objects, garage sale, illustrating, illustration, junk, realizing a vision, Sketch, sketchbook | Permalink. 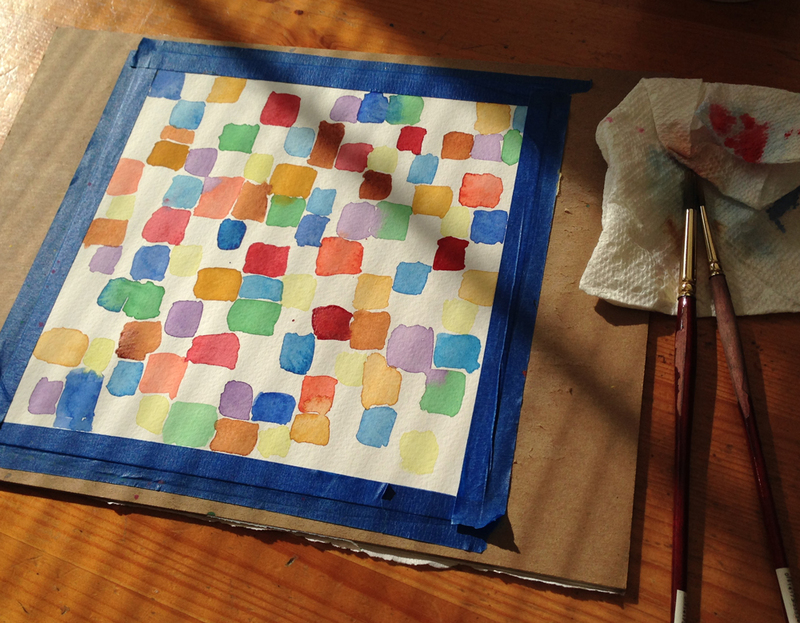 My creative habits were derailed a month or so ago, when I was busy with a work project. I forget how much I need my own creative projects. Working as a web and print designer, I have the pleasure of being creative with work. The downfall for me is relying on work as my creative outlet. Last month’s work project was very consuming and creatively fulfilling. I barely drew or painted during this time. Everything was great until the project wrapped up, and a new work project didn’t immediately replace it. I was out of the habit of working on my own stuff, so I was left feeling somewhat empty. As I wrote about in this post, I was having a really hard time motivating myself to work on my own projects. Thankfully I was able to get back to it, although it’s not always easy to stick to it. 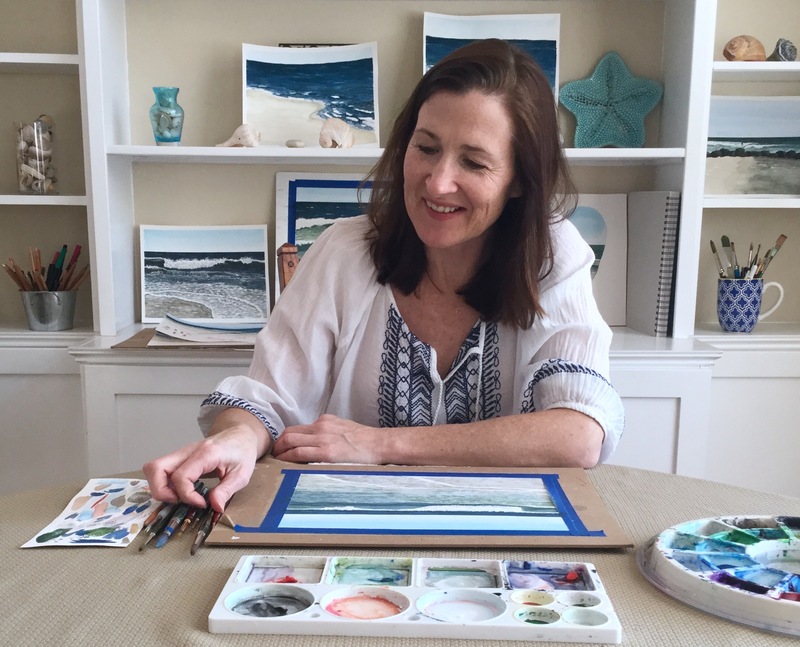 I need to remember this lesson next time work gets very busy – to make time for my own creative projects, and to stick with my creative habits. 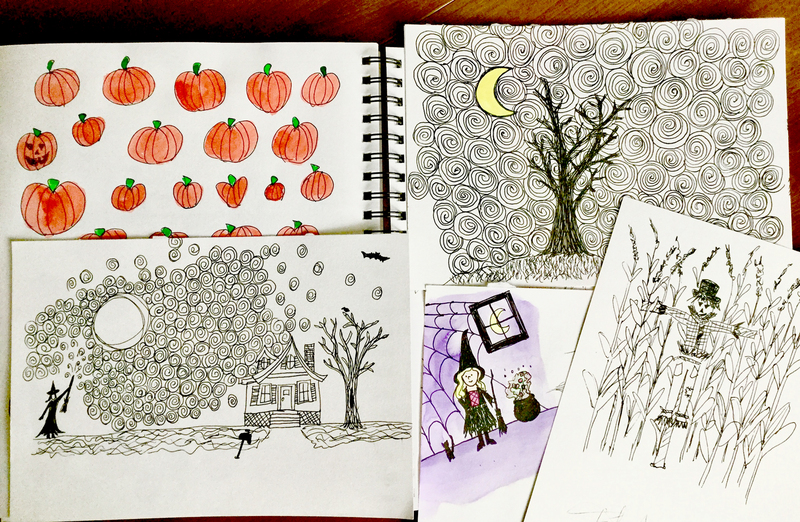 Categories: Inspiration, Resolution | Tags: creative, creative habits, creativity, Drawing, habits, illustration, inspiration, painting, Sketch, sketchbook, watercolor | Permalink. How could I not put down the kindle and pick up the sketchbook? So today, I’m celebrating and sharing my eighth day in a row of sketching. Here’s to my new creative habit (almost). Categories: Inspiration, Sketch | Tags: Better than Before, creative habits, Gretchen Rubin, habits, illustration, Sketch, sketchbook | Permalink. 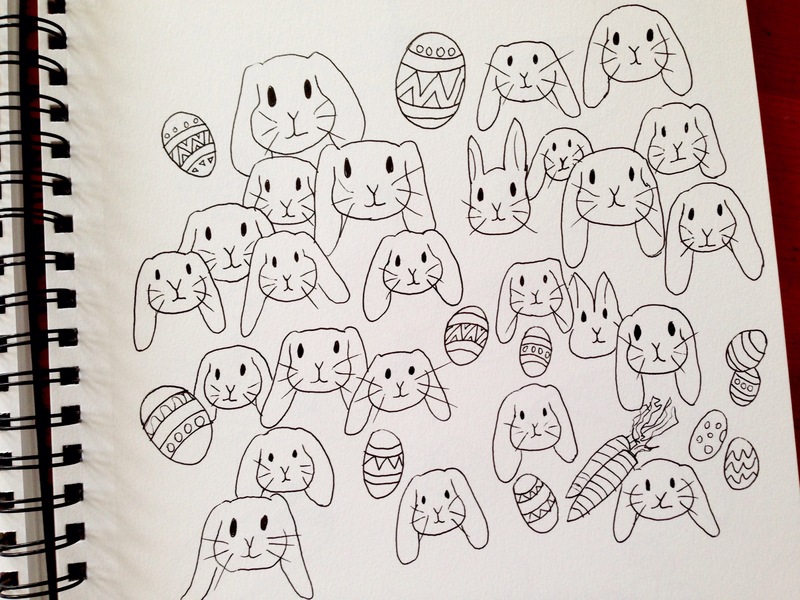 Categories: Sketch | Tags: bunnies, bunny, Easter, Easter bunny, eggs, Happy Easter, Sketch, sketchbook | Permalink.